4-Dimensional appliance bracket needs no offset bends in the archwire to obtain an optimal finish. Foil mesh bonding pad matches the curvature of the tooth for maximum contact and a strong, consistent bond. Torque in the base designed to provide level slot lineup, and helps avoid occlusal interference. Special option available for bicuspid brackets that feature a gingivally offset bonding base. 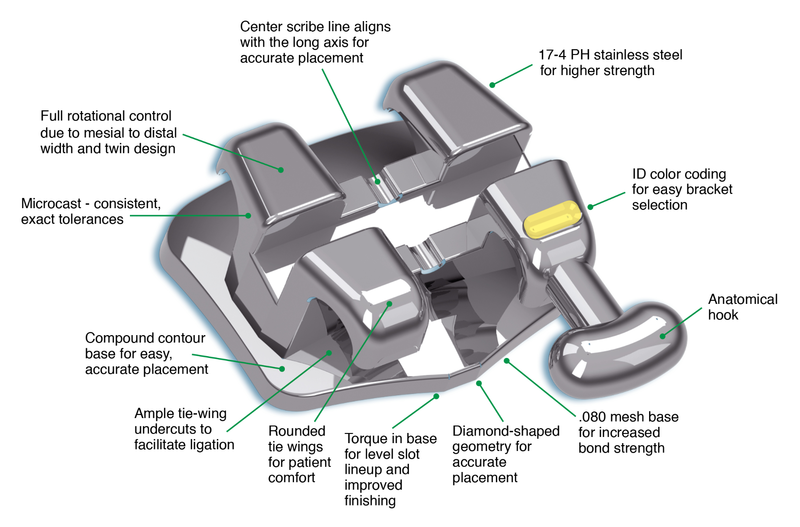 This classic bracket system combines the concepts of traditional orthodontics with the latest engineering and production processes. Professionals have the ability to choose from a wide range of treatment options and protocols to best meet the needs of your clients and your practice. Ideal for all treatment patterns as brackets can be interchanged within prescriptions. All bracket prescriptions utilize the same In/Out for slot level alignment and inter-changeability. 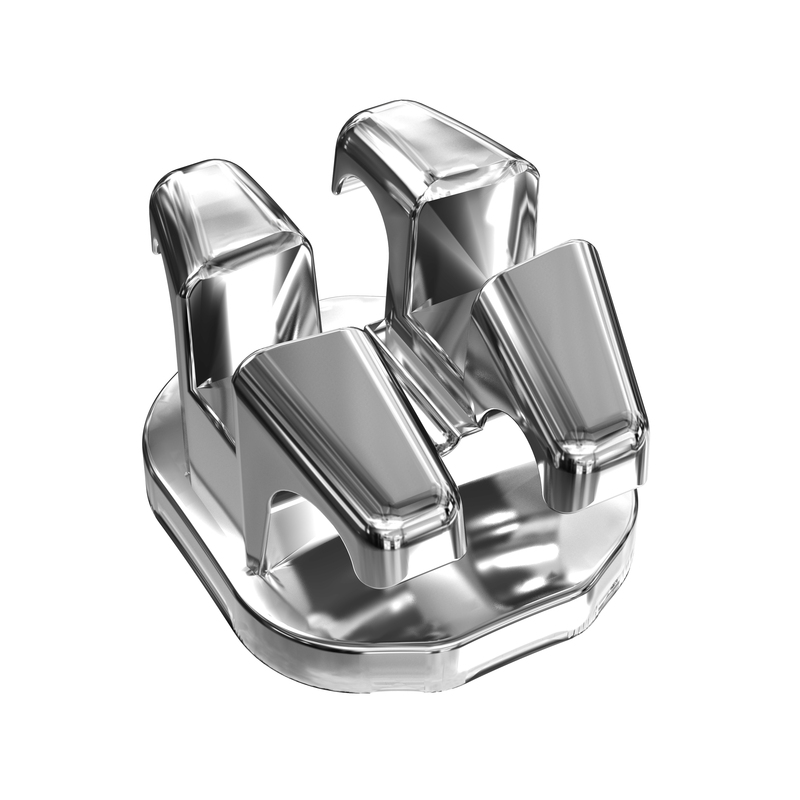 Shop for individual BioTru® Classic metal twin brackets and build your own prescription.